China will likely remain the world’s largest cotton importer in 2015/16, but its share of world imports has fallen from 55% in 2011/12 to 22% in 2014/15, and may only reach 17% this year, new forecasts suggest. The update comes after China last month announced that its 2016 cotton import quota would be limited to 894,000 tons, the same as in 2015, in order to encourage consumption of domestically produced cotton. Instead, the International Cotton Advisory Committee (ICAC) expects imports into other Asian countries are taking on a larger share and will partially offset the decline. In 2011/12, imports by the rest of Asia accounted for 31% of world imports. In 2015/16, Asian imports excluding China are expected to reach 4.5m tons, representing 60% of world imports, the ICAC says. Bangladesh, Vietnam and Indonesia are the three largest importers in the region outside of China. Imports by Bangladesh may slightly exceed 1m tons in 2015/16, up 4% from last season, while imports by Vietnam are projected up 5% to 990,000 tons. After declining in 2013/14, imports by Indonesia increased 13% to 735,000 tons in 2014/15 and may reach 780,000 tons in 2015/16. Mill use in Asia outside of China is forecast to rise by 4% to 12m tons, representing 48% of world consumption projected at 25m tons in 2015/16. Mill use in India is expected to reach 5.6m tons, up 3% from 2014/15 and in Pakistan, 2.6m tons, up 2% from 2014/15. India, the world’s second largest exporter, could see a small recovery in 2015/16, with exports forecast to increase 15% to 1.1m tons. Exports from Francophone Africa are anticipated to reach 1.1m tons in 2015/16. Production in the region has grown steadily from 494,000 tons in 2010/11 to 1.1m tons in 2014/15 and 2015/16. As production has grown in this region, its share of world exports, which used be 6% in 2010/11, is expected to rise to around 14% this fiscal. 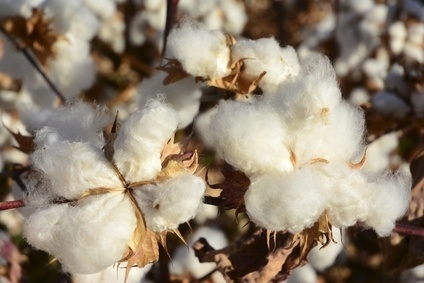 Despite its forecast for a decline in China’s market share, the ICAC believes China will likely remain the world’s largest importer in 2015/16 since demand for high quality cotton will be partially met by imports – particularly given concerns over the quality of this year’s domestic crop. Chinese imports are projected to fall by 24%, to less than 1.4m tons. Cotton production in China is estimated at 5.4m tons in 2015/16 and the Chinese government still holds around 11m tons in its reserves. The total supply of cotton in China for 2015/16, excluding imports, is estimated at 18m tons, which would be more than double its annual volume of consumption, forecast at 7.7m tons.